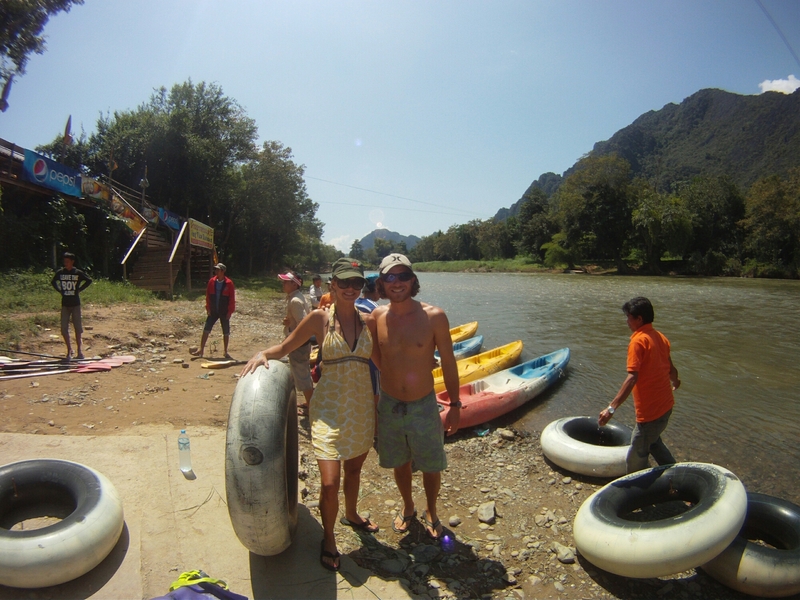 After much needed rest and a little yoga in Luang Prabang, we took a bumpy van to Vang Vieng for some river adventures and climbing. 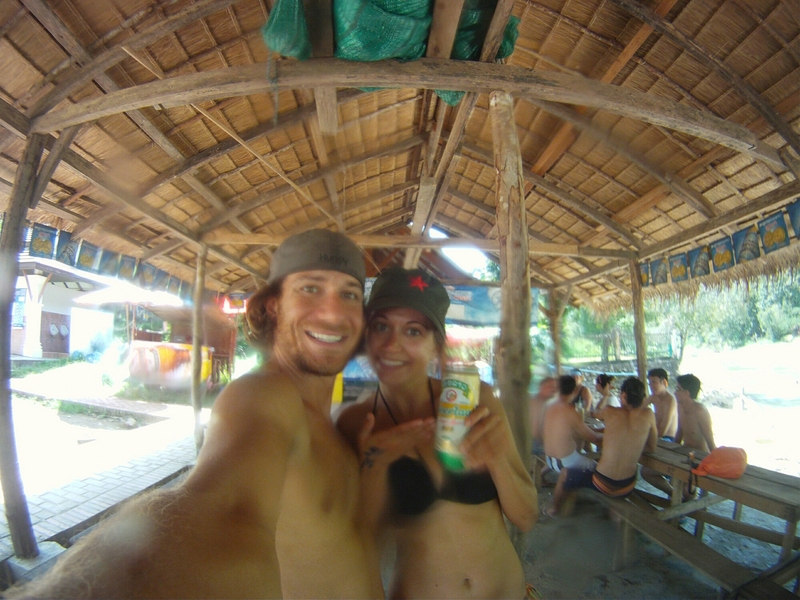 Vang Vieng, Laos was once on the South East Asia backpackers radar for it a raucous river tubing parties. Several blog posts I’ve read like this one described tubing as “One of the greatest parties on the planet” complete with booze, drugs, and permanent markers (I don’t quite get that one). 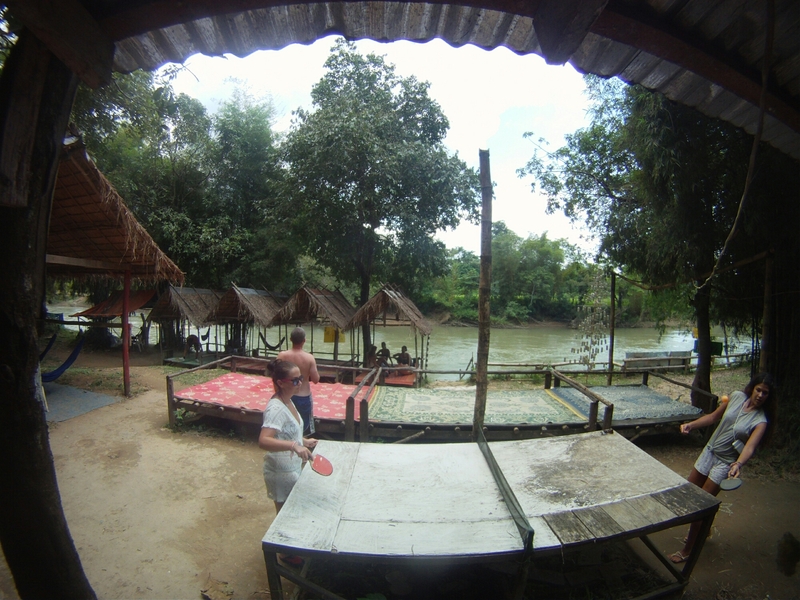 But in 2012 after a string of accidents and even deaths, the Laosian government closed several of the river bars and tore down the dancing platforms. 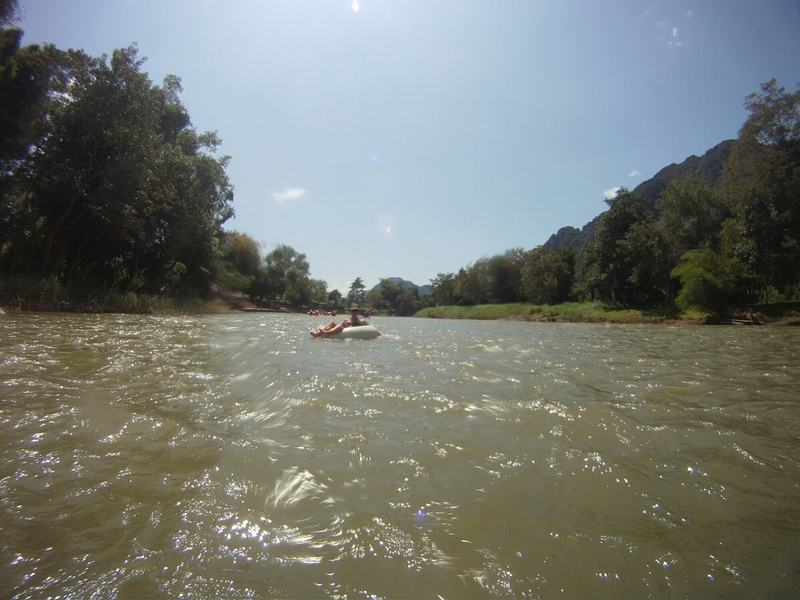 Today tubing in the river is a peaceful and serene, albeit short experience. We were suprised to hear that if you continue tubing without making any stops you would be back to town in just an hour. 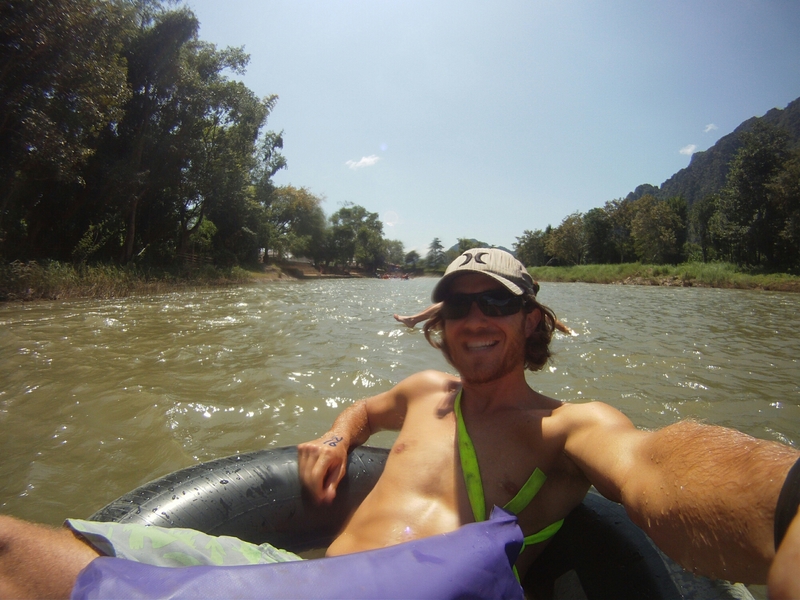 After paying for a tube in town, you’re taken in the back of a truck a few kms up river. We did this in college all the time so it felt strangely familiar, although with much prettier landscape, cleaner water, and less rednecks. Of course there are still a few mostly empty bars left. Our favorite served a free bracelet and shot with each beer. So we tubed, had a few beers, and made a few friends. At one point our motley crew included Chinese, Dutch, German, British, and Japanese. All in all it was a fun time, just too short. I could have gone back and done it all over again!